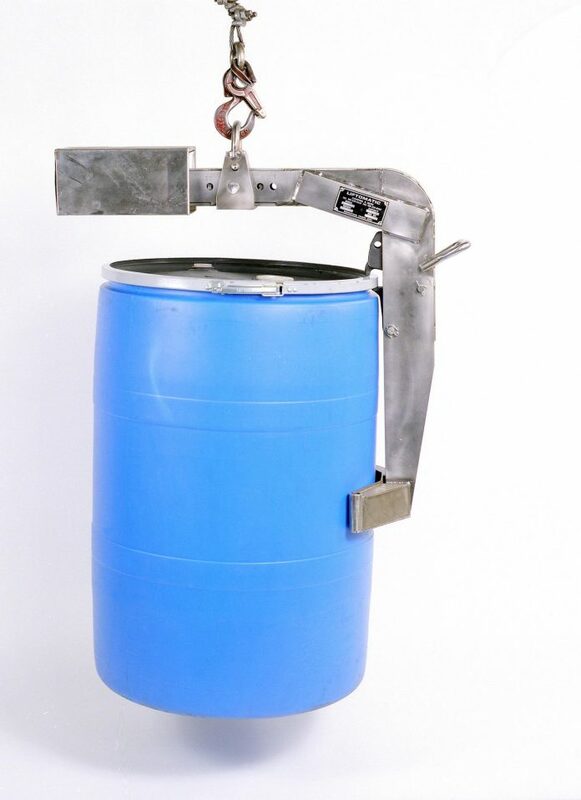 Liftomatic Material Handling, Inc., an industry leading material handling equipment manufacturer, recently introduced the HCB hoist attachment to handle all 55 gallon drums. The HCB hoist attachment safely lifts steel, fiber and plastic drums weighing up to 2000 lbs. using Liftomatic’s exclusive “Parrot-Beak®” drum handling attachment. The model HCB-BC attaches to any overhead hoist, crane or boom and engages drums automatically. Liftomatic’s exclusive mechanical clamping system engages the top lip of the container, assuring a safe and reliable pick-up each time.